Disney has halted the manufacturing and selling of Frozen Blu-rays in Japan following Pierre Taki's drug bust from last week. Taki is a member of the pop group Denki Groove and the voice of Olaf in the Japanese-language versions of the popular Disney animated movie. Last week, he was arrested after admitting to using a little bit of cocaine near Tokyo after an anonymous tip was provided to law enforcement. If convicted, Taki, could spend up to seven years in prison. 51-year old Pierre Taki, aka Masanori Taki, is seeing a lot more fallout than just potential jail time. Many companies in Japan started to pull endorsements, which is the norm in the Japanese entertainment industry after a drug-related arrest. Following suit, Disney has stopped the production of Frozen Blu-rays and Square Enix is scrubbing his voice in Kingdom Hearts III video game and they expect to have a new patch with a replacement voice soon. It isn't clear if Disney is going to go back and have another actor record over Taki's voice for future Blu-ray releases. Additionally, Sega has announced it will remove the character model and voice lines provided by Pierre Taki in the Judgement video game for the western release. Sega's social media accounts have temporarily taken down all of the posts promoting the game with Taki's face on them. It is believed that they will reinstate everything once they go through and replace his face and voice from the game. With that being said, the game is still on target to meet its June 25th release date. Drug use and arrest is frowned upon in Japan and is seen as a lapse in moral rectitude that can have a bad effect on the community. The stigma of a drug bust can, and normally does, destroy careers in Japan. Even possession of cannabis in the country for personal use could come with a maximum prison sentence of five years. Growing it will get an offender up to seven years, like Pierre Taki's cocaine offense. The drug was not found in the entertainer's car, home, or person. Instead, a trace amount was found in a urine test. Many have criticized Japan's views on drugs and addiction over the years. Pierre Taki's career is more than likely over and he might end up having to serve at least half of his sentence, which could be over three years. Athletes caught abusing drugs are often banned for life while members of the entertainment industry are treated in the same way, with their images and movies being scrubbed from history. Possession of marijuana can be just as big of a career ender in the country and has been compared to destroying one's life. Pierre Taki's new journey is just beginning and more news is expected to drop soon. 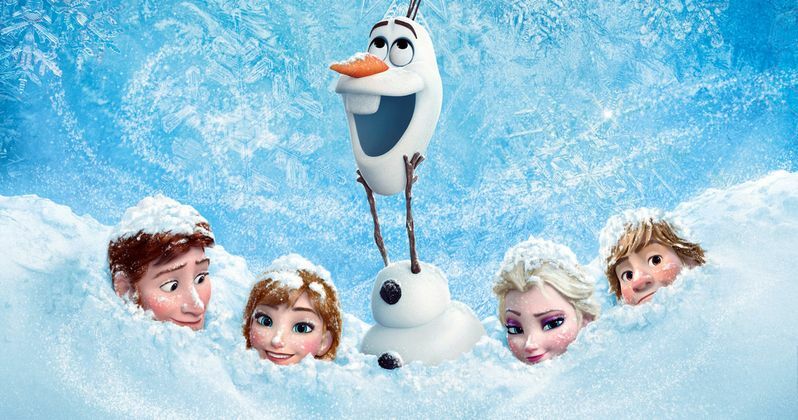 The Frozen Blu-ray and Pierre Taki news was first reported by Japan Today.